Lou Fasano Heating & Cooling, Inc. 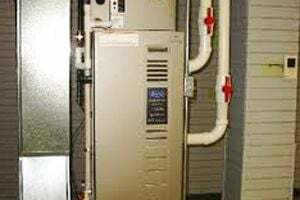 Comment: I lease a duplex home and have been having a problem with the heater not working properly as sometimes the heat does not turn on what I have the thermostat set on. I have to turn off and back on the thermostat to reset it, and then it takes 30 minutes or more before it turns on. It started in November of 2018, but is happening more frequently now. I am letting the owner know of the problem. Comment: Our forced hot air is not warming uo downstairs only upstairs. It turns on, runs then shuts down or blows cold air. We cleaned the fire igniter sensor thing and replaced the filter. Dales Plumbing and Heating Inc.
AA Pro Plumbing & Heating, Inc.
P O Box 831, 5 W. Annex Chimney Rock Rd. Middlesex Heating & Furnace Contractors are rated 4.63 out of 5 based on 2,907 reviews of 53 pros. Not Looking for Heating & Furnace Systems Contractors in Middlesex, NJ?